CPU Fans, Case Fans and Power Supplies, Power Supply. Accu-Cable 16 Gauge 3 Wire ECCOM-3. Extention Cord. 3 '. Dell L235P-01 Power Supply. New. Dell: R224M. **** Delta Electronics AFB0512LB Case Fan. Used. Advanced PC Cooling Device. New. Ball Bearing. CPU Fan. AMD CPU Fan. Refurbished. 44217182. Antec 120MM Blue LED Case Fan. 761345770958. Antec Neo HE550, 550-Watt ATX CPU Power Supply. Neo. 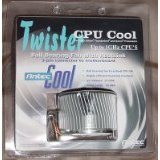 Antec Twister CPU Cool Cooling Fan. 761345770477. New. APC CPW037 Beeper Assembly Plug. New. Bestec 5188-2625 Power Supply. ATX-300-12Z. OEM. CFA61S4 Spire Coolers Socket A/370 Heat Sink And Fan. New. Compaq 239074-002 Power Button With Cables. Compaq 277919-001 Power Supply. 220 Watt. Compaq 282317-001 Case Fan. 3610KL-04W-B49. Compaq 283606-001, 283608-001. Power Supply. Refurbished. 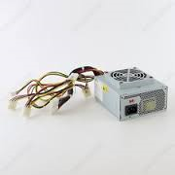 Compaq 283693-001 Hot Plug Redundant Power Supply. Compaq Presario 3.5" Floppy Cable. 310188-002. Used. Cool Max Tornado CPU Fan. New. 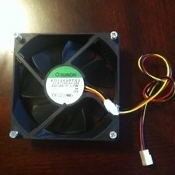 CQ Products CPU Fan. PC Thermal Total Solution. DC Fan. Crown AGE12025B12M Fan. New. Cyber Cooler D50SM-12AS. The CPU Cooler. New. 2 Fans. Cyber Cooler SC-080 Expansion Slot Case Cooling Fan. New. Cyber Cooler. P3, FC-PGA. Round Cooper Fins. New. DEC Digital 30-41976-01, ZYTEC EP071223, 400 Watt. Dell 0WU142 Desktop Power Supply. New. 275 Watt. Dell 5G817 160W Power Supply Bracket. Refurbished. Dell 6Y702 Power and LCD Button. Refrurbished. Dell AA23390 XPS 600 Precision 650 Watt Power Supply. New. 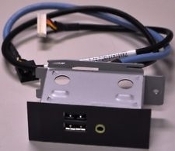 Dell AFB0612EH 12v DC 60x60x38mm Fan For Poweredge 2800 Dell C0094 USB Audio Front I/O Connectors. Refurbished. Dell DFS601005M30T Dual Fans. Used. Dell DHP Fan and Heatsink. Working Pull. (9) Dell Dimension KH624 XPS 375 Watt Power Supply. OEM. Dell DPS-500CB A, Switching Power Supply. New. Dell F0995 Case Fan Assembly with Shroud Casing. Dell FFB0612EHE Poweredge 2650 Rear System Fan. New. 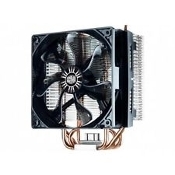 Dell FFC0912DE Server Fan. Sensflow. Refurbished. Dell HP L161NF3P 160 Watts Small Form Factor Power Supply. Dell HP-P2507F3CP Desktop Power Supply. 2N333. Dell HP-P2507FW Power Supply. Refurbished. Dell HP-U2106F3 Power Supply Desktop 210 Watt. Working Pull. **** Dell Inspiron One 19 Forcecon CPU Cooling Fan 0W857R. Dell J1540 PowerEdge 2650 Power Supply. Dell L275E-01 Desktop Power Supply. New. 275 Watt. Dell N230N-00 Power Supply. Refurbished. Dell NPS-210AB C REV 03. Desktop Supply. Working Pull. **** Dell NPS-250KB Power Supply. Dell 00N380. 00N3801. Used. Dell Optiplex GX280 NPS-305BB C Y2682 0Y2682. Power Supply. Dell P2507F3CP 250W Power Supply. Refurbished. Dell PowerEdge PE1400 VRM 05S2020A-4. DELL PS-5161-7DS OptiPlex GX280 SFF Power Supply. Dell WU142 Desktop Power Supply. New. 275 Watt Delta AFB0612MB Case Fan. Used. Delta DPS-300AB-15B Power Supply. Refurbished. Delta DSB0812M Case Fan. Refurbished. Delta Electronics DPS-225KB A Power Supply. Lenovo 41A9631. Elco Power Supply 5K038. Model: BM501-5. Working Pull. Enermax UC-8TCFS/B New 80mm Ultra-Cool Ball Bearing Case Fan Ergo Telkoor LES9907B03 AC Adapter. New. Evercool Case Fan 3 PIN. New. EC8025M12CA. 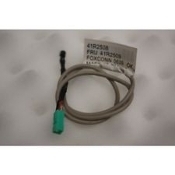 Foxconn 26K1190 Sata Cable. Foxconn PV983DE1. 3 3/4" X 3 3/4" Case Fan. Black. New. Gateway 6500612 Power Supply. Newton Brand. 200W. Refurbished. Hammond Manufacturing XF4115 Fan Box. Used. (W25). HP 0950-3708 Power Supply 120W. Delta DPS-125EB A HP 0950-4151 Vetra VL420 IDE Power Supply. DPS-185BB A.
HP Compaq 283691-001 ProLiant Power Cable. Refurbished. HP Pavilion 5043-0079 Power Button Cable Assembly. **** HP Pavilion Sunon K72042 Case Fan. Refurbished. 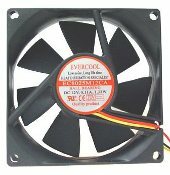 HSP HSP12025MS Case Fan. DC 12V 0.20A. IBM 26K1241 Power Button Switch. **** IBM 41A3538 I/O Power Cable Riser Card. New. IBM HP-L1607F3P Power Supply Desktop Power Supply 160 Watt. 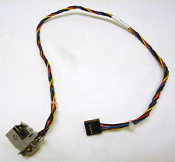 IBM Lenovo 41R2508 Thermal Sensor Cable. IBM NetVista 185W Power Supply 24P6881 24P6883 24P6880. IBM PSM1538A Power Supply. Refurbished. 92G9444. Intel 109X6512H2036 Socket 370 Processor Fan. New. Intel A28837-001 CPU Fan P4 New. Intel A80856 Socket 478 CPU Cooling Fan. A80856-002. Intel Celeron Processor 366MHz. New. B80524P366. Just Cool FA-100. 4 Fan Alarm System with LED lights. New. Kool-Enhancer KE-700 Processor CPU Fan. New. Logisys PS480D2 480W Dual Fan 20 24 Pin Power Supply. LYF Hard Drive Cooler. 2 Fans. Cooper. New. Minebea 2410ML-04W-B19 DC Brushless Fan. New. Minebea 3612KL-04W-B66 Case Fan. Minebea NMB-MAT Fan With Blades. 225R103D0801. Minebea-Matsushita 2410RL-05W-S39. Mitac MPU-110REFP Power Supply. Used. 319235-001. Nidec BETAV B35502-35 Case Fan. Refurbished. Nidec D08K-24TU Case Fan. Working Pull. NMB-MAT 4715KL-05W-B40 Case Fan. Refurbished. Okia 450W ATX Power Supply. LC-8460BTX. New. Okia-420ATX Switching Power Supply. New. PacTech-Inc CPU Cooling Fan. Socket 370, Socket 7 CPU. Philmore 70-5312 Cooling Fan Filter. 120mm. New. Philmore 70-5360 Cooling Fan Filter Kit. 60mm. New. Philmore 70-5392 92mm Cooling Fan Filter Kit. New. Philmore No. 70-486 Cooling Fan. 486 CPU To 100MHZ-12VDC. New. Philmore NO. 70-586 Cooling Fan. New In Retail Package. Philmore NO. 70-6424 Power Fan Cord. New. 90 Degree Angle. Power Logic PL81D12M DC Brushless Case Fan. Thermaltake TGF020 Blue Orb VGA Cooling Fan. New. Thermaltake TT-8025 DC Brushless Case Fan. Tobishi DC5053U Case Fan. Used. Toshiba PA-1650-21 AC Adapter. OEM. Refurbished. Typhoon Blue 4 LED Case Fan. FM802512M. New. Typhoon CT8025 Red. 4 LED Powmax 12 Volt DC Case Fan. 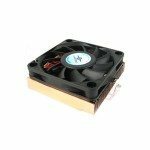 Typhoon FM802512M Aluminum 80mm Computer Case Fan Vantec CCK-6012 Copper CPU Cooler CCK6012. New Y.S. Tech XYW08038012BM Fan. New. Yate Loom 8025M12 DC Case Fan. New. Yate Loon D50SM-12A CPU Cooler. New. Yate Loon Hard Drive Cooling Fan. YL-HD-A1. New.